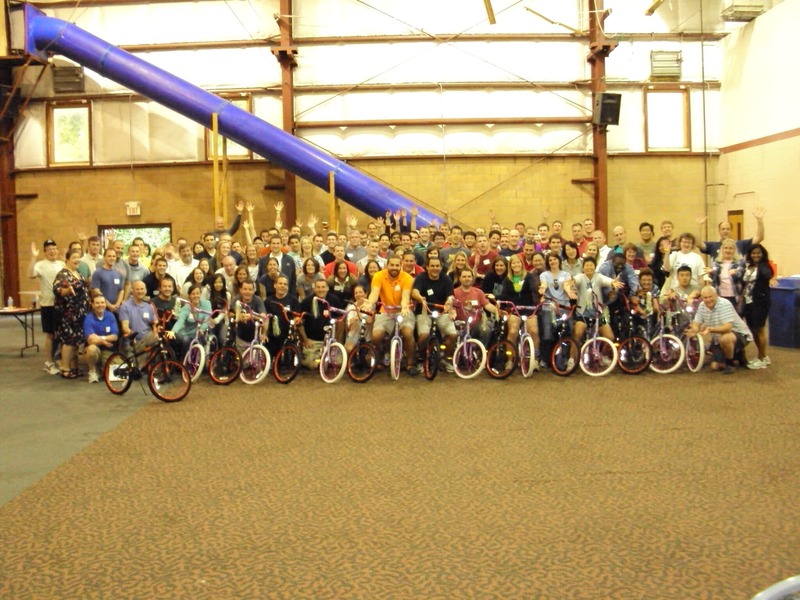 Over 120 Actuaries and mangers from Nationwide Investments came together in Columbus, Ohio, for a Build-A-Bike Team Building Event. The venue was Camp Mary Orton and provided a wonderful place for the activities. The activity room was set up with tables and materials for the event and everyone had a great time of fun and learning as they completed tasks that resulted in 20 bikes being built and donated to the Godman Guild that will give the bikes to excited children from their network. It was a fast-paced, fun and entertaining time with lots of laughter, a lot of networking and a lot of good cheer. The participants enjoyed the afternoon with each other, the activities and the good feeling of giving back to the Columbus community. Often times team building events are used to teach lessons amidst the activities. The activities are designed with subtle and not so subtle elements that reinforce team building, bonding and leadership. But sometimes team building can just be getting to know each other and having fun together. 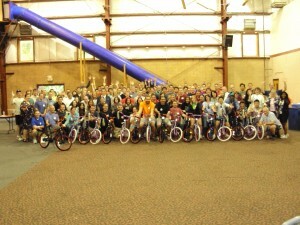 The Build-A-Bike Team Building Event for Nationwide was such an event. The focus was on getting out of the office, meeting others from around the area, getting acquainted and getting to know each other better; all in the surrounds of a great camp and entertainment. In this case the team building was almost covert, but the building of the relationships, seeing each other in a little different than ordinary circumstances; laughing together, enjoying each other and the activities all added to a great experience. Enjoyment was the top theme, but even if by accident, learning was taking place. Thanks to Nationwide and their great team for a great team building event in Columbus, Ohio, and a thanks also to Camp Mary Orton for a great venue and to the Godman Guild for providing children to receive the bikes.